The track, which he recorded for the 2010 World Cup when it failed to chart, jumped 27 places overnight according to data from the Official Charts Company and is now just outside the top 10 at number 11. 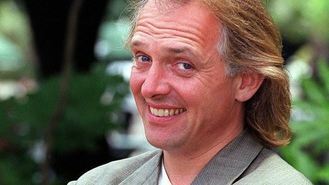 Official Charts Company chief executive Martin Talbot said: "Rik Mayall's death this week was a shock to a whole generation of comedy fans - and their reaction in pushing his 2010 single is a reflection of how much he was loved. "In turn, his new hit also underlines how the Official Singles Chart remains a modern-day barometer of public opinion." The star, who died aged 56 at his London home on June 9, shot to fame playing poetry-writing anarchist Rick in The Young Ones. Other roles included Lord Flashheart in Blackadder and the conniving Conservative MP Alan B'Stard in The New Statesman.